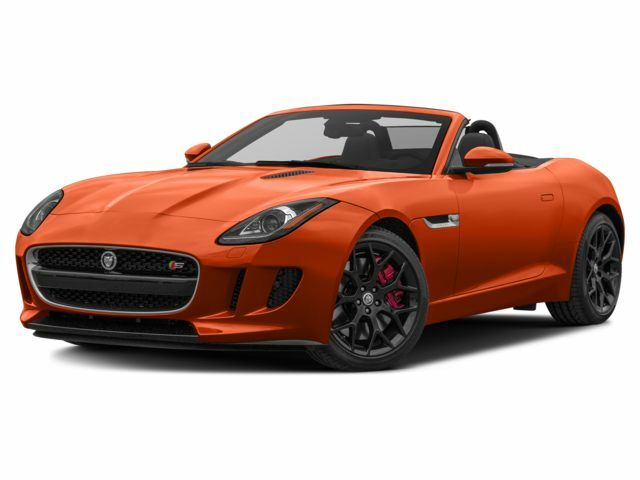 Why Choose Jaguar Over Other Luxury or Performance Car Brands in New York? Performance: At the heart of every new Jaguar is true, unrivaled performance features. Each Jaguar among the current lineup is engineered to offer an unparalleled driving experience that will leave you speechless. Whether it's the Jaguar F-Type or the F-PACE that's caught your eye, you can expect a driving experience that simply can't be matched by competing vehicles. Innovation: Of course, with unrivaled performance comes constant innovation. As a leader in lightweight aluminum construction, Jaguar has made it its mission to create a distinctive driving experience for every vehicle within its lineup. Further, having partnered with technological giants such as Intel, Jaguar has committed itself to outfitting its vehicles with the latest in cutting-edge technology features. Design: Nearly 100 years ago, Jaguar founder, Sir William Lyons envisioned a lineup that struck the perfect balance between beauty and performance. Since 1999, Jaguar Design Director Ian Callum has ensured that Lyons' vision lives on. Jaguar EliteCare: Perhaps what's most intriguing about taking the wheel of a new Jaguar is the many benefits of Jaguar EliteCare. Offering best-in-class, industry leading 5-year/60,000-mile warranty coverage, complimentary scheduled maintenance and roadside assistance, along with extraordinary Jaguar InControl technology, Jaguar EliteCare will have you wishing that you'd purchased a new Jaguar sooner. While each vehicle among the Jaguar lineup is certainly exciting, how do you choose which is best for you? Fortunately, at Jaguar Huntington, our team is here to help. Not only will our team give you a firsthand look at each model available in our showroom, but we'll also be more than happy to tell you what puts it ahead of its many luxury and sports car competitors from brands such as BMW, Audi, Mercedes-Benz, Porsche, Maserati, and Lexus. When it comes to the Jaguar XE, comparing it to its competition is easy. Boasting an unforgettable driving experience along with an exquisitely designed interior, the Jaguar XE is truly unbeatable. Consider the sophisticated Jaguar XJ and you'll find a vehicle that the competition just can't beat. When compared to vehicles such as the Mercedes-Benz S-Class, the 2016 XJ offers a more competitive price, along with a handful of features that the S-Class just doesn't seem to have. As for the Jaguar F-TYPE? Boasting more horsepower and standard with an 8-speed "Quick Shift" ZF automatic transmission, the F-TYPE has become a true expert at taking on its Porsche competition. While the F-PACE perfectly emanates the Jaguar commitment to luxury, this lavishly outfitted crossover also offers a kind of functionality and versatility that you just won't find anywhere else. Jaguar's latest model, the Jaguar E-PACE is a versatile and practical crossover SUV that slots in just below the F-PACE in terms of size and price. Jaguar's I-PACE EV crossover is a high-tech and practical option for drivers in the Huntington, NY area. Best-in-Class Warranty Coverage: When it comes to warranty coverage, Jaguar simply cannot be beat by its many competitors. With 5 years or 60,000 miles of New Vehicle Limited Warranty coverage, whichever comes first, you can shop this year's lineup with absolute confidence knowing that the new Jaguar of your choosing will come accompanied by a best-in-class warranty. Complimentary Roadside Assistance Around the Clock: Of course, Jaguar EliteCare coverage extends far beyond your vehicle's New Vehicle Limited Warranty. Also boasting around the clock complimentary roadside assistance, you won't have to think twice about taking lengthy road trips or quick trips to the city. Why? Because with complimentary roadside assistance, someone will always be around to lend a helping hand if you need one. Vehicle Maintenance Services On Us: And when it comes to keeping your new Jaguar in pristine condition? Unlike many other warranty programs offered by the competition, Jaguar EliteCare puts the care and upkeep of your vehicle first by offering complimentary vehicle maintenance services. With complimentary service for 5 years or 60,000 miles, whichever comes first, you'll be able to make the most out of every appointment you make with the team in our Service Center. From oil changes to tire rotations, we've got you covered. If you would like to learn more about the Jaguar lineup and the many benefits that it has to offer, we encourage you to visit our Suffolk County showroom, near Dix Hills, Freeport, Great Neck, Queens NY and Smithtown NY, to speak with a member of our knowledgeable team. While Jaguar can certainly be compared to brands such as BMW, Audi, Mercedes-Benz, Porsche, Maserati, Land Rover, Buick, and Lexus, our team is confident that when it comes to choosing a luxuriously appointed vehicle that comes with endless benefits, there's no better lineup to choose from than that of Jaguar. To learn more, stop by the Jaguar Huntington showroom in Huntington, NY today.